I have been out of town for the past few weeks due to a family emergency and have not been at storytime. 😦 Luckily, Ms. Susan was kind enough to fill in, and I’m sure everyone had lots of fun with her! I’m now trying to catch up and figured that I would post my agendas from the past couple of weeks. This is a very fun book that can be used as a guessing game. Pages unfold into giant pictures of animals . . . and two of the animals included are a dog and a cat. The entire book is interactive and brightly colored. A definite favorite. I made this flannel board out of black and white clip art, that I colored and laminated. Can dogs fly? This book lets us in on the secret that yes, some dogs really do. 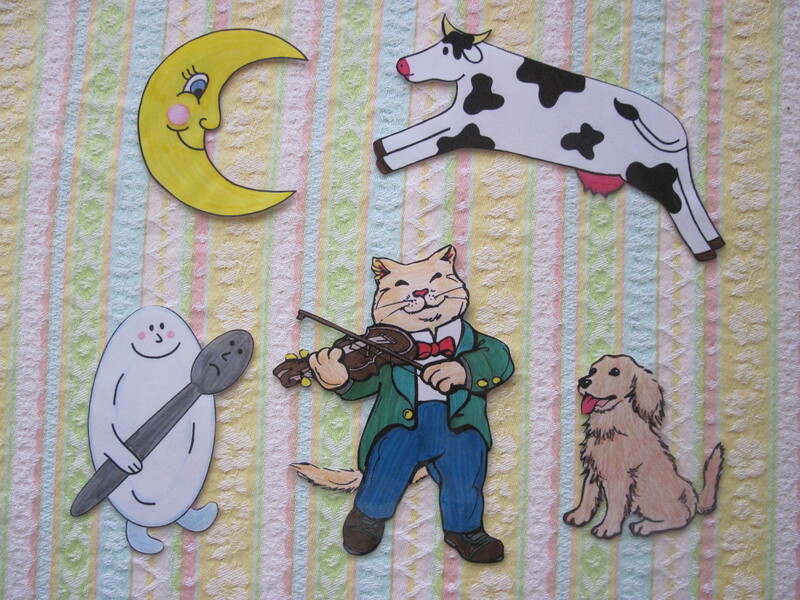 Using a dog puppet to help sing these songs makes them even more fun – especially if you have one with long ears! Bring out dog puppet and sing ‘do your ears hang low? Illustrated actions can be found in Play Rhymes by Marc Brown. CRAFT: Make a dog-ear headband. Cut strips of paper to fit around child’s head. Cut out two long dog ears and attached to paper headband. Color, decorate and wear – then sing “Do your ears hang low?” again!